Arginine is considered a non-essential amino acid although research indicates that it is ‘conditionally essential’ in that the body may not be able to manufacture a sufficient amount in times of rapid growth, trauma and other physical stresses. 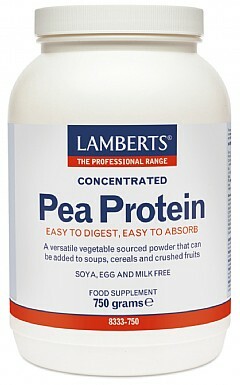 For this reason research has been carried out on the use of arginine supplementation to help aid recovery. The body uses arginine to make nitric oxide (NO), a substance that relaxes blood vessels, and the vasodilator effect of arginine is an important factor in maintenance of healthy blood flow around the body. 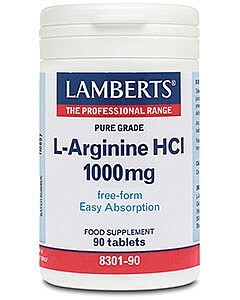 Arginine therefore plays an important role in cardiovascular performance. 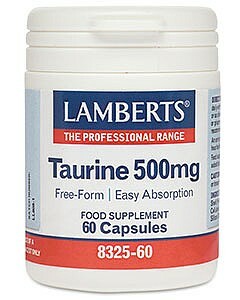 Arginine is also required for optimum growth and takes part in the release of growth hormones. It is also involved in the removal from the body of ammonia, a waste product of nitrogen metabolism. Arginine is found in foods such as dairy products, meat, poultry, fish and nuts, but is generally present at low levels in fruit and vegetables. Lamberts® L-Arginine is a pure, free-form amino acid that is ready to be absorbed by the body without needing to be broken down by digestive enzymes. 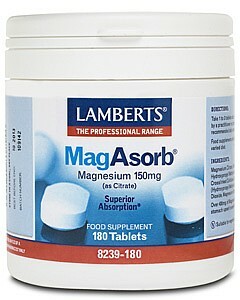 Each tablet provides a full 1000mg of L-Arginine HCl. An off white oval coated tablet. Calcium Carbonate Cellulose Modified Starch Tablet Coating: (Hydroxypropyl Methylcellulose Glycerin) Silicon Dioxide Stearic Acid Magnesium Stearate.